"Impacting community health requires a highly integrated, strategic approach that’s based on addressing not just clinical factors, but behavioral and lifestyle ones attributable to unhealthy decisions." 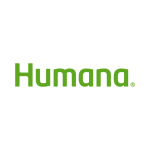 LOUISVILLE, Ky.--(BUSINESS WIRE)--About one year ago, Humana Inc. (NYSE: HUM) announced a bold goal: to improve the health of the communities we serve by 20 percent by 2020 by making it easier for people to achieve their best health. Today, Humana has unveiled its “Bold Goal – 2016 Progress Report,” which details the learnings and progress in key bold goal communities across the country. 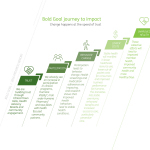 In the company’s inaugural bold goal report issued last April, Humana stated that the first “one to two years will be learning years where we work with specific populations to generate new insights and discoveries on how to improve health.” During the last 12 months, Humana sought to grow its knowledge and understanding of the health barriers and clinical, lifestyle and behavioral challenges facing each of the bold goal communities the company focused on: San Antonio, Louisville, and Tampa Bay, among others. Humana has also invested time by listening to community, academic and health care partners in these bold goal communities to develop this detailed understanding of the health challenges these diverse communities face. These learnings will be instrumental in developing localized approaches for each of its bold goal communities. Collaboration with local entities will be essential in addressing and solving these health challenges. For example, Humana’s Tampa Bay Clinical Town Hall brought together nearly 70 organizations and resulted in the formation of a 100-plus-member health advisory board that will be instrumental in helping the community rally together to address health challenges. 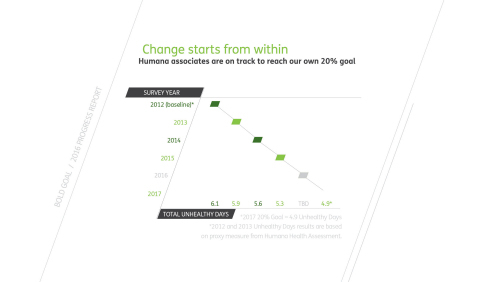 Leading by example: Humana’s 50,000 associates (aka employees) are on track to meet the goal of improving their overall health 20 percent by the end of 2017, three years quicker than the community goal. Many of the programs associates have used to improve their health over the last few years will be rolled out into bold goal communities. Benefiting from collaboration in San Antonio: Humana achieved a 23 percent increase in the number of members in San Antonio who took health assessments, which enabled Humana to direct them to appropriate programs. We also launched a pilot program with H-E-B grocery stores that rewards Humana associates with points for purchasing fruits, vegetables, and heart-healthy foods. We are actively working with H-E-B to scale this pilot to a broader San Antonio population. Driving a local movement in our hometown: We approached more than 60 local partners in Louisville, including the Mayor’s Healthy Hometown Movement. Humana also tested several new diabetes programs and has seen a 15 percent increase in statin therapy in our diabetes population. We launched a partnership with Air Louisville to reduce the burden of asthma and help city leaders better understand the environmental triggers of asthma. Increasing engagement in health programs and addressing food insecurity: In Tampa Bay, we saw increased program participation for health assessments, mail order pharmacy and medication adherence. We also are finding ways to partner with Feeding Tampa Bay to make healthy food more accessible to those who need it. Humana Chief Medical Officer Roy A. Beveridge, MD, whose organization serves as the steward for the bold goal, noted the important role that physicians, clinicians, caregivers, nurses and other health care professionals are playing in bold goal communities. 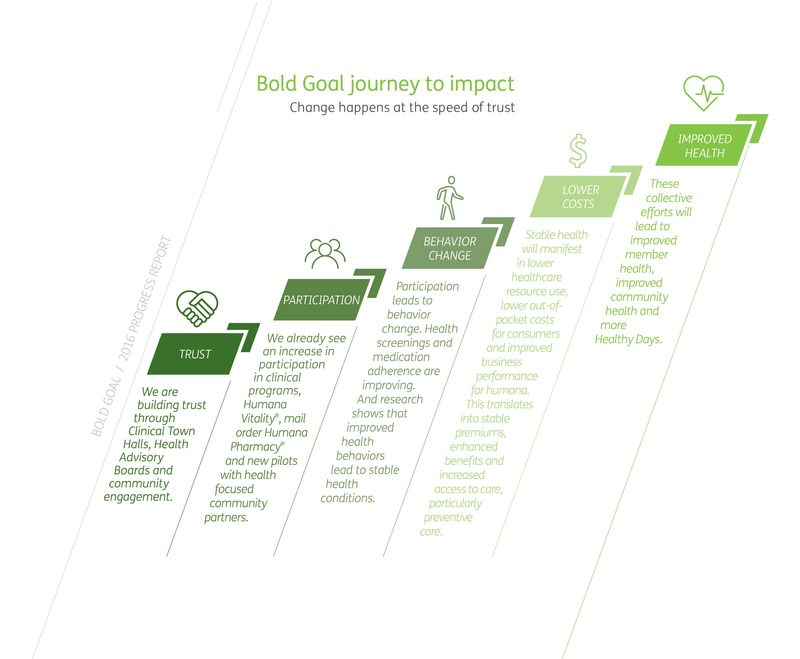 In addition to engaging more physicians, the Bold Goal – 2016 Progress Report focuses on how habits and attitude, both good and bad, are critical when it comes to making an impact on overall health, including mental health. This was one of the reasons Humana decided to use the Centers for Disease Control and Prevention population health management tool known as Healthy Days for measuring progress on the bold goal. During the next year, Humana plans to utilize a five-step process to improve Healthy Days, as detailed in the attached infographic. The company will continue to build trust through Clinical Town Halls, Health Advisory Boards and community partnerships. This sets the stage for even greater participation, building on the success Humana has seen with clinical programs, prescription mail order and pilots in the last year. Finally, as local community participation and engagement increase, the foundation will be set for even more behavior change, which can lead to lower costs and improve health over time as measured by Healthy Days. 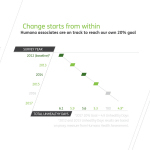 For additional information about Humana’s bold goal progress, please visit www.humana.com/boldgoal.